As parents, chances are that we already know the coolest and hottest toys of the season (mostly because our kids won't stop talking about them). 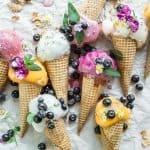 But when all is said and done, we also want to get our kids something a little bit different- something they don't expect but that we know they will love. These are the top most unique gifts for kids this holiday season- gifts to fill up their toy box, fuel their minds, and move their bodies. Hitting the slopes this Christmas? Or maybe just enjoying that backyard snow? 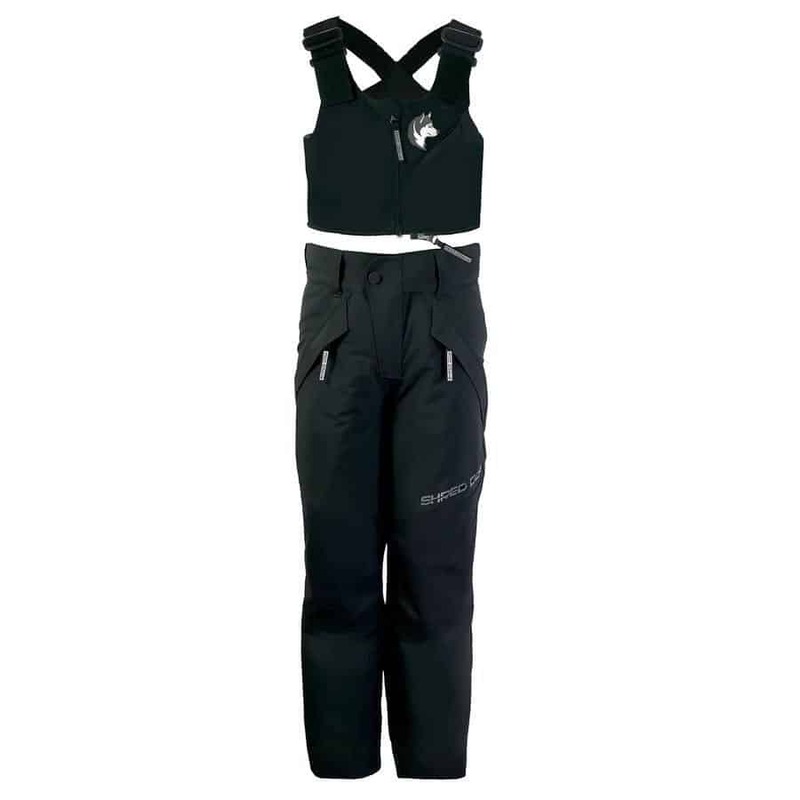 However you spend your snowy days SHRED DOG offers elite snow gear at an afforable price. 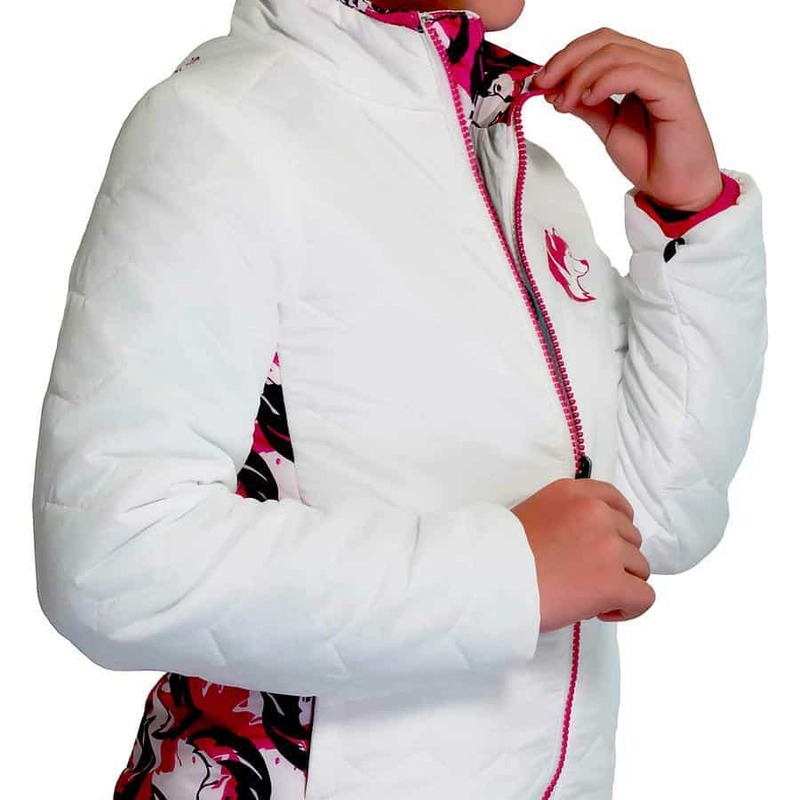 SHRED DOG offers premium features that are typically only found in adult snow gear designed specifically for kids ages 3-14. 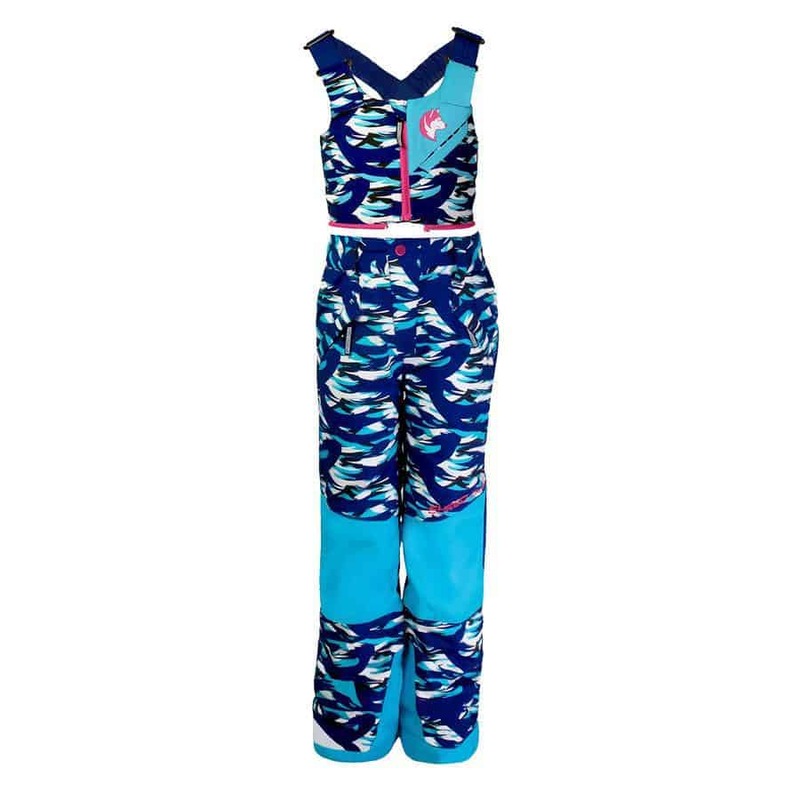 Features include high waterproof and breathability ratings, full seam taping, and thigh and underarm vents. Plus they use 3M Thinsulate body-mapped insulation and an Adjust-a-Fit system. 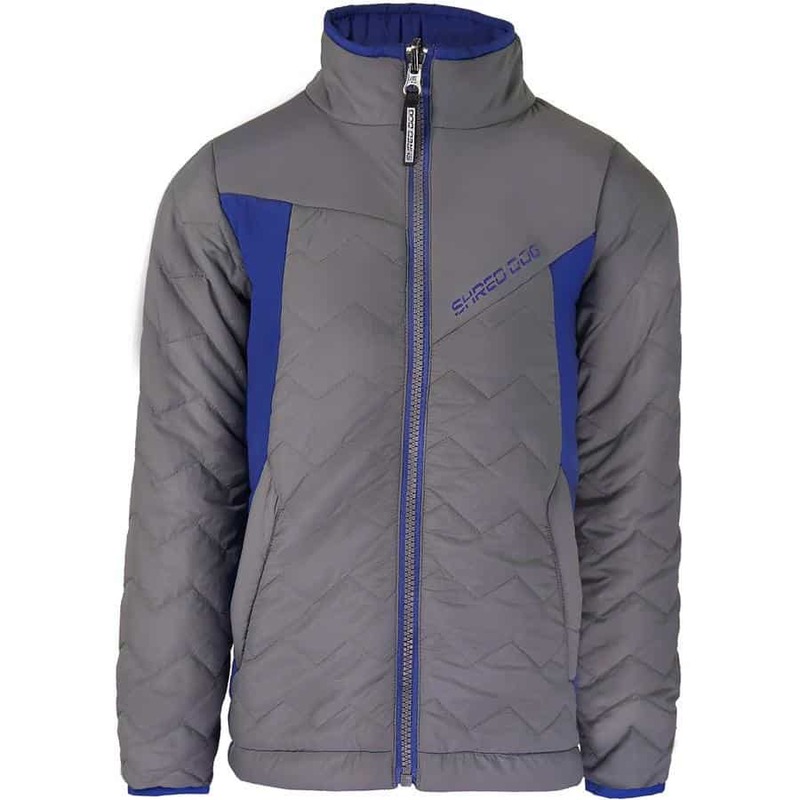 SHRED DOG offers jackets, pants, and other snow gear to get outside and have fun. SHRED DOG believes in getting kids outside. There is power that comes from exploring and expanding the mind, body, and spirit in the great outdoors. Unfortunately, kids are spending less and less time outside. 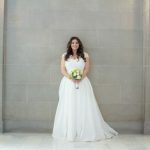 SHRED DOG wants to change that so 1% of all their sales are donated to a nonprofit that promotes getting kids outdoors. This holiday season consider giving the gift of outdoor play, freedom, and imagination. Sure, toys make great gifts but have you ever tried to send your kids outside to play with their awesome new sleds without the proper gear? You know that kids don't always last that long out in the cold no matter how excited they are. Twenty minutes outside and they are running in with their freezing toes looking for some hot chocolate. Make sure they are outfitted with the proper attire starting with their feet. Keen strives to pay attention to every little detail on their products, making them the perfect place to get snow boots for your kids. Looking for waterproof , water resistant, proper insulation and good tracking? No problem! 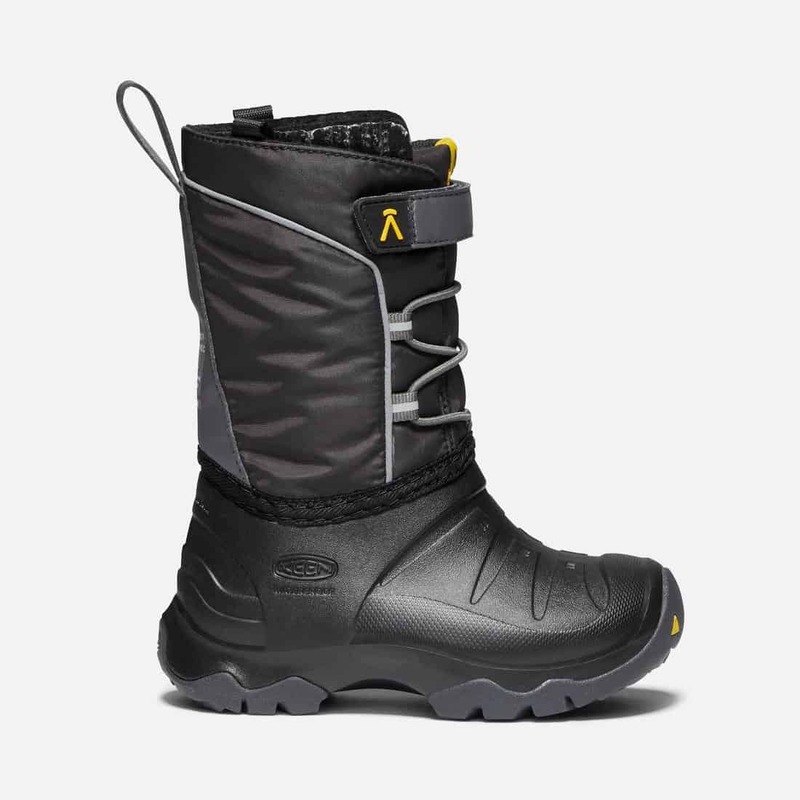 Need easy on (and easy off) to eliminate the snow boot struggle? Look no further. With an amazing selection of boots, it will be hard to choose a favorite. 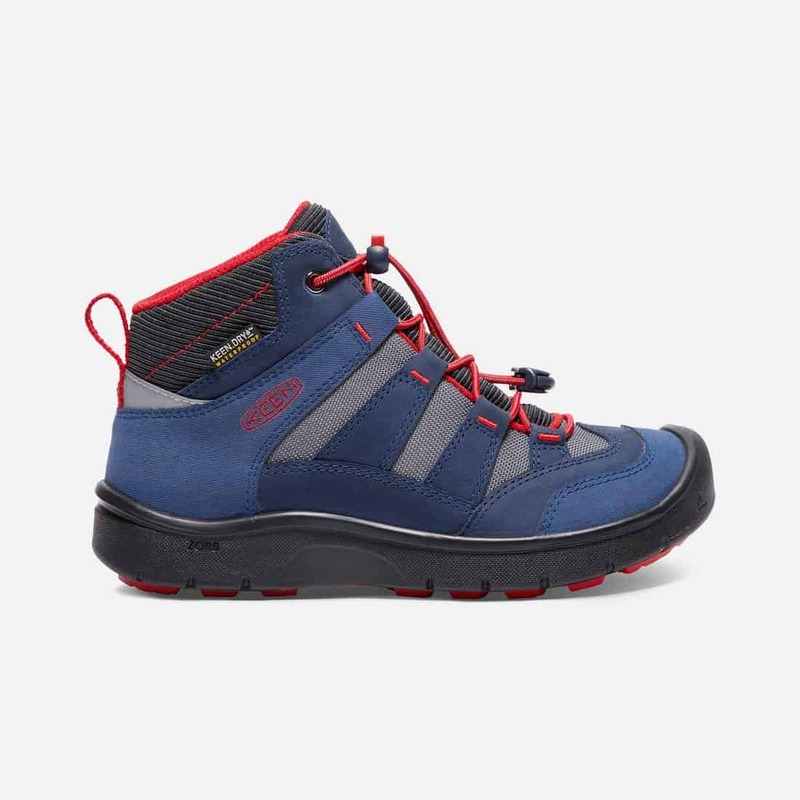 This season our top two picks are the Lumi and Hikeport Waterproof Mid. The Lumi is the all-around perfect outdoor boot. It features insulation rated to -40°F/-40°C and a waterproof EVA shell design. It is ultra-light weight allowing kids to move easily and also uses charcoal bamboo as the perfect, foot warming insulation. The Hikeport is a a lower rise boot that still showcases the amazing waterproof quality but with a breathable membrane that lets water vapor out without letting water in. 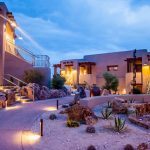 They showcase a fun outdoorsy style that is great for playing outside but also practical for sending the kids off to school in! 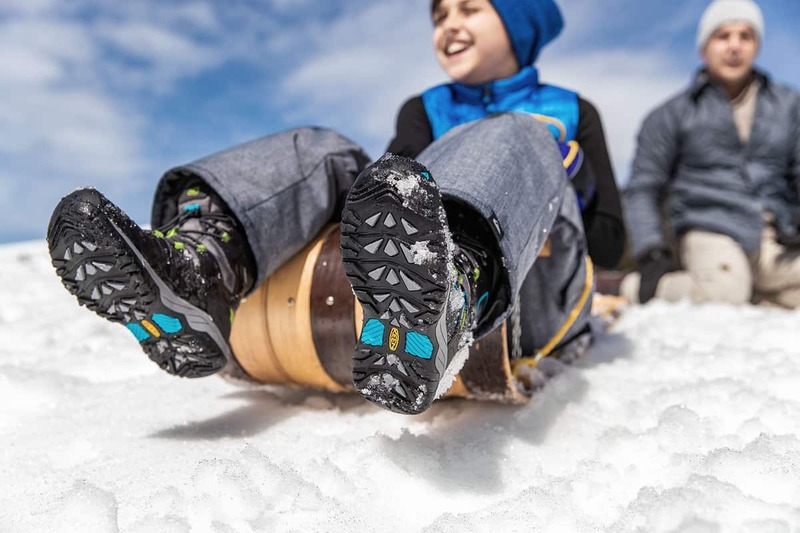 Give kids the gift of toasty feet this Winter and you will find them having even more fun outside! And no adult or parent can argue with that! Hasbro has been bringing us the hottest toys since the early 1900s. They are the makers of big names like Monopoly, Nerf, and PlayDoh. They have put the time and innovative thinking into creating toys for all the kiddos in your family to love. You can't go wrong with Hasbro under your tree this year. 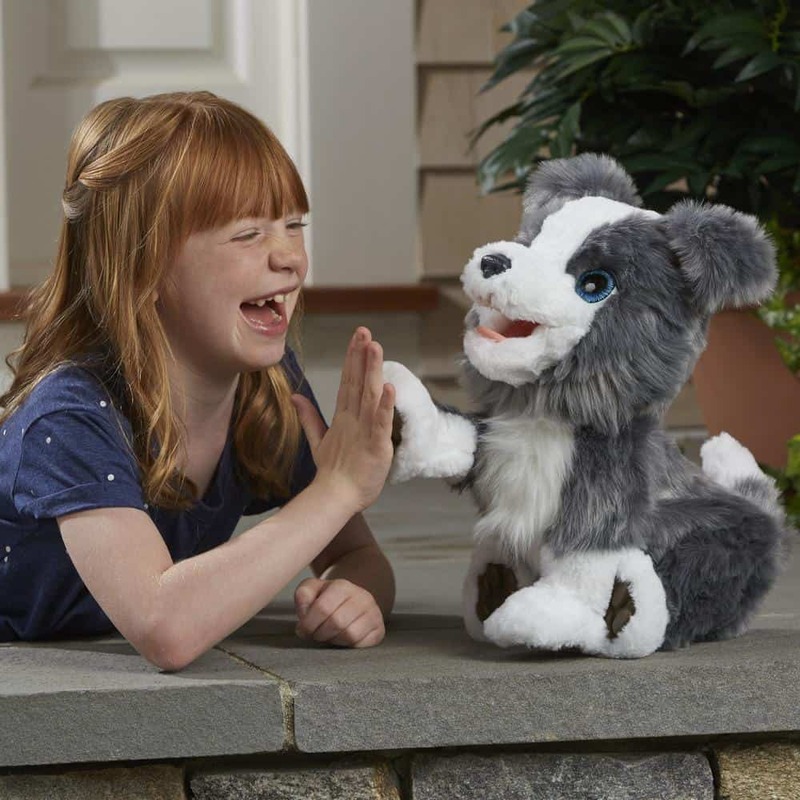 One of Hasbro's newest lines that kids know and love is the furReal friends. Ricky is a fun loving, trick-doing pup that your kiddos will love! Ricky is an interactive little guy that responds to 100+ sound and motion commands. He loves getting treats for good behavior and even poops them out! He's also very talented and can flip his bone, shakes, and can bark a tune. He's affectionate and loves giving puppy kisses. 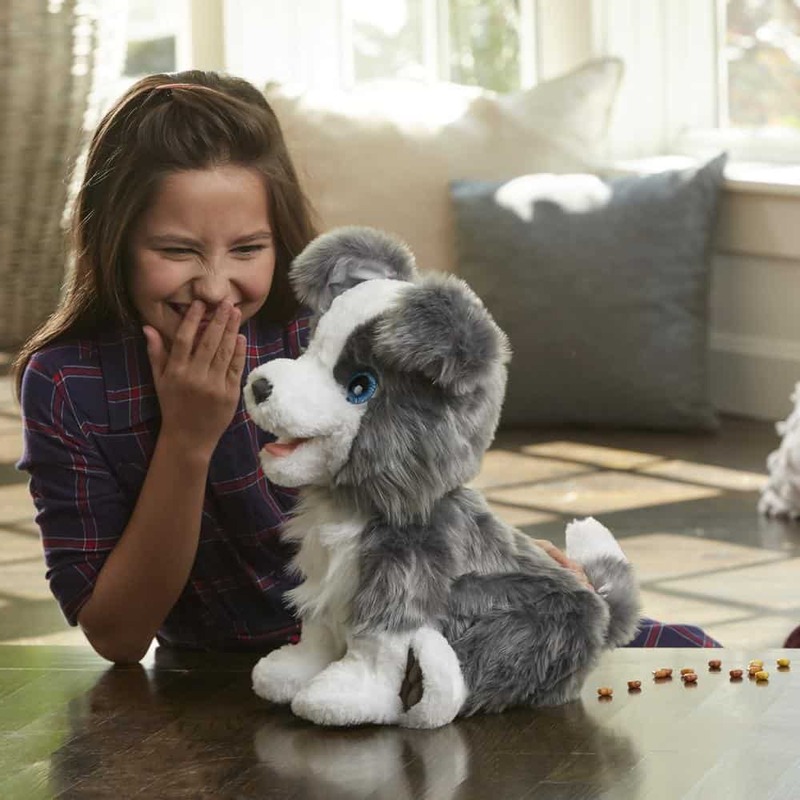 You little ones will love finding furReal Ricky, the Trick-Lovin' Pup under the tree this year. Marvel Rising are just ordinary girls and boys that double as world-saving superheroes. Join Gwen Stacy, America Chavez, Daisy Johnson, and more of Marvel's newest superheroes as they take to the streets to save the world. Where will their next adventure take them? 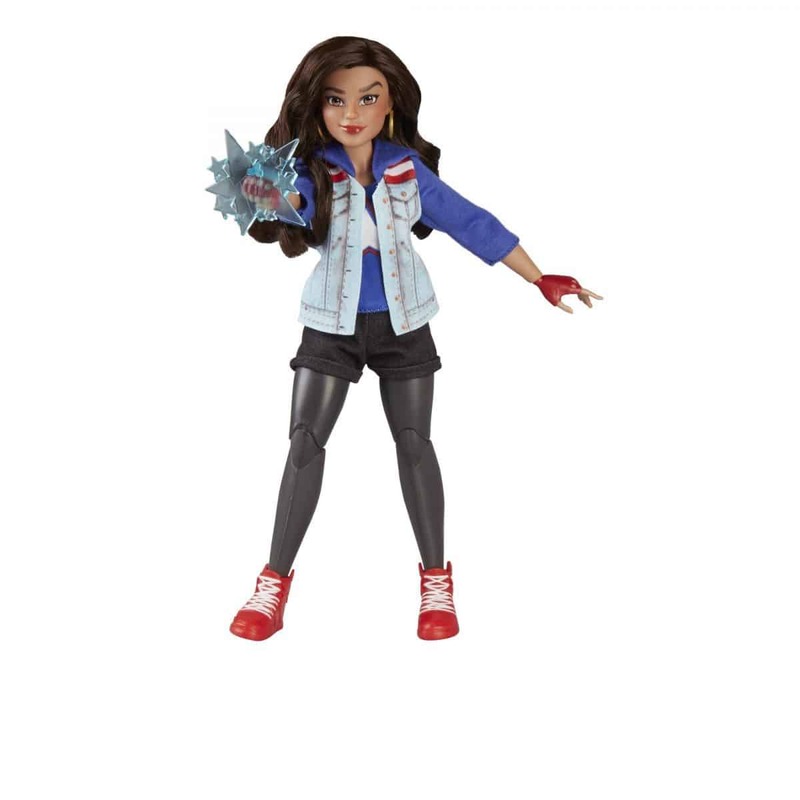 You decide with Hasbro's Marvel Rising Secret Warriors Secret Identity Dolls! Are you looking for some interactive silly fun this Holiday season? 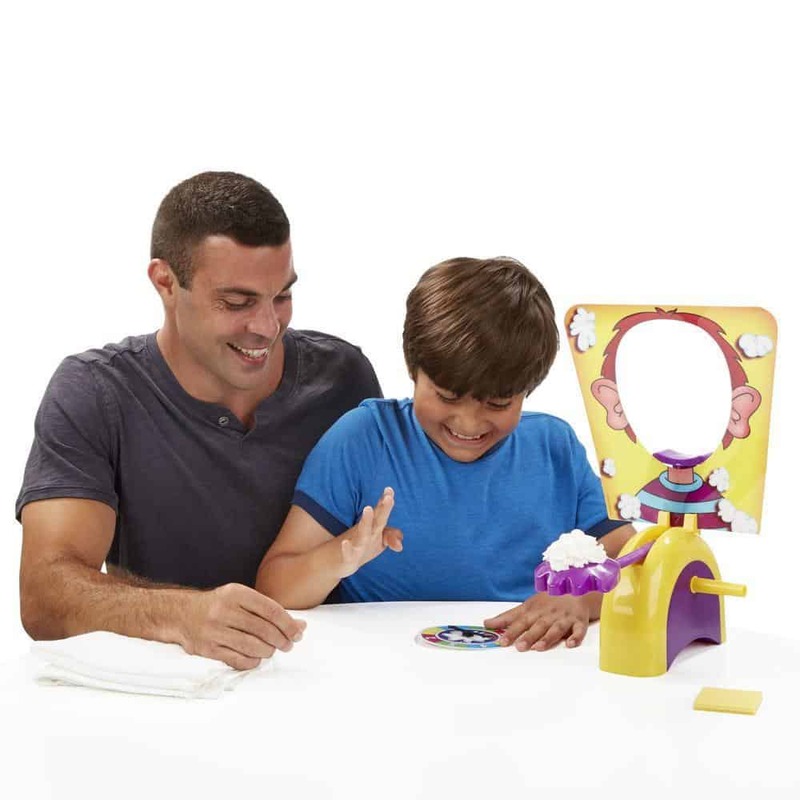 Hasbro has you covered with the Pie in the Face﻿! Filled with fun and suspense who will get splatted with a pie in the face? Your family will love this hilarious, silly game. Poop emojis are all over this Holiday season. Love them or hate them, you might as well embrace them. We are willing to bet your kiddos finds them hilarious. 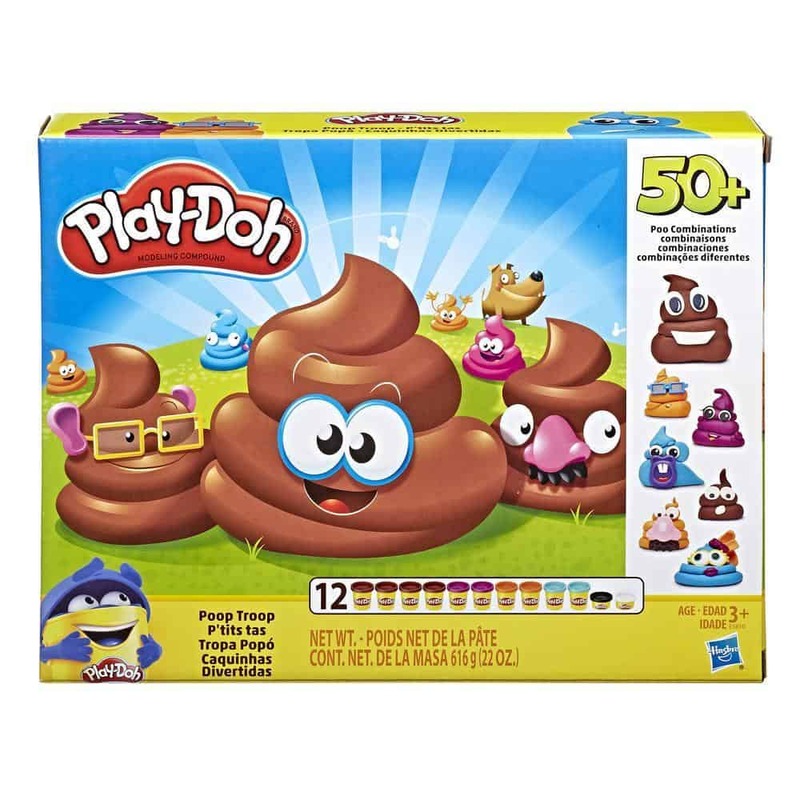 They will love the Play-Doh Poop Troop Set﻿ and spend hours creating and molding hilarious poop combinations. 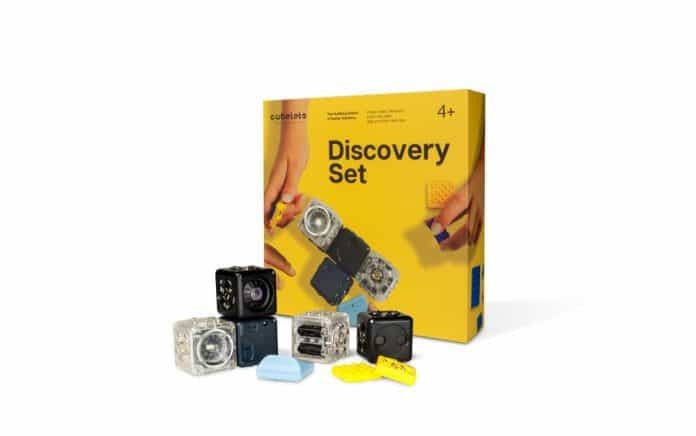 When you're looking for the perfect STEM gift look no further than the Cubelets Discovery Set. With an emphasis on creation, this set allows kids of all ages to play endlessly. 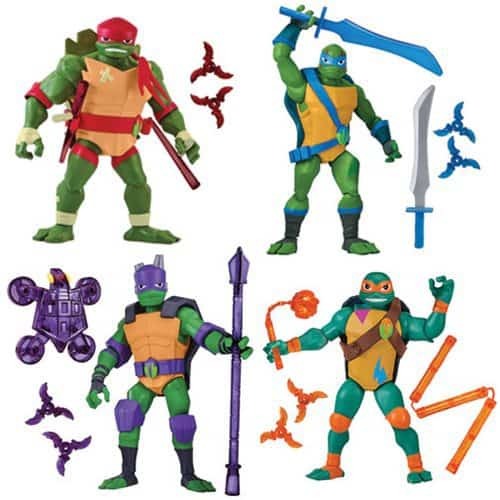 When you're looking for that perfect toy, nothing compares to the Discovery Set that's in a league of it's own. Connecting the cubelets in different ways creates a mini robot that can do a variety of things. 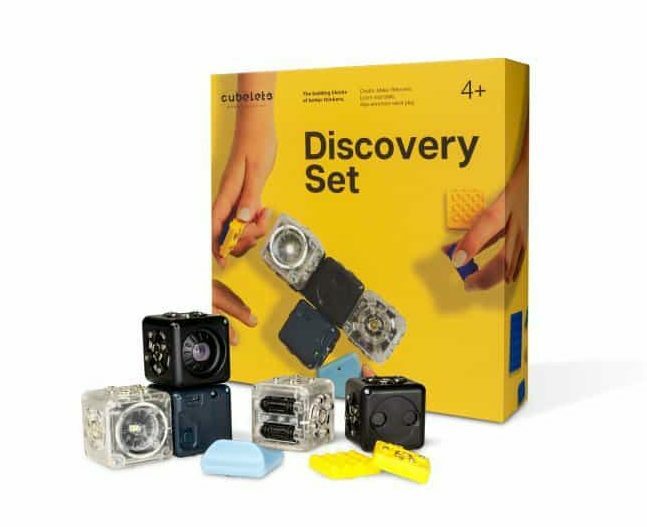 Included in the package are 6 different Cubelets as well as a yellow brick adapter, which is compatible with LEGO® building blocks, and a Bluetooth Hat to connect to mobile devices. As soon as the kids get the hang of things, download the Cubelets App which is available for IOS, Android, and FireOS, then remote control any of the cubelets. You can also change the behavior of the cubelets through the personality swap. You’ll find them exploring all the new and innovative ways they can play. 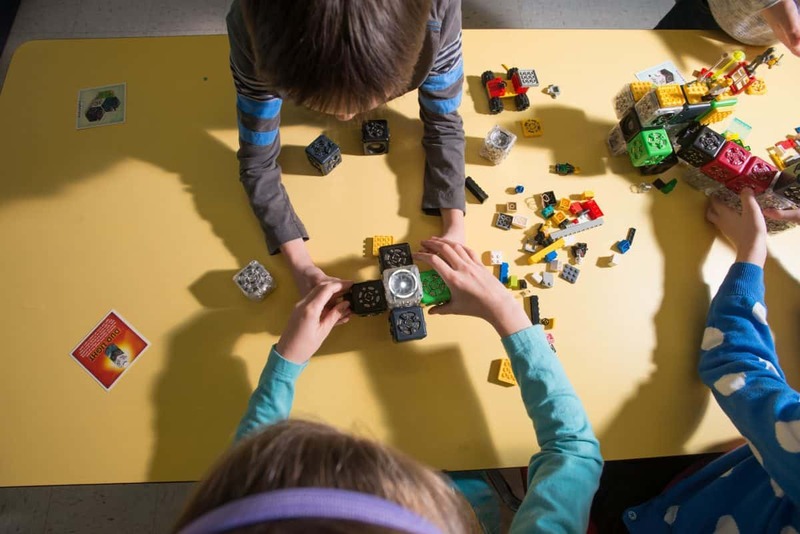 Kids, teenagers, and adults alike will love to design and create with the Cubelets Discovery Set. 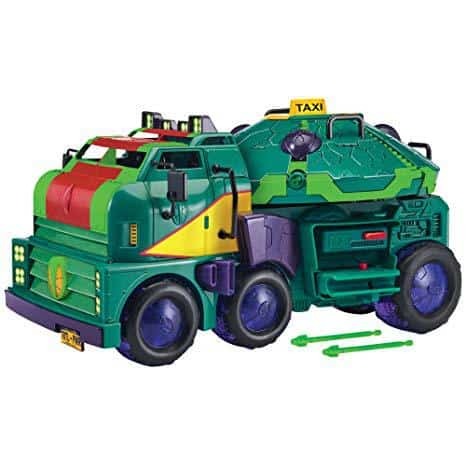 Kids will love the new Rise of the Teenage Mutant Ninja Turtles Tank Vehicle and Action Figures, based on the new TV show. From tracking down villains to rolling through the sewers, the tank and action figure toys will provide hours of imaginative fun and creativity. 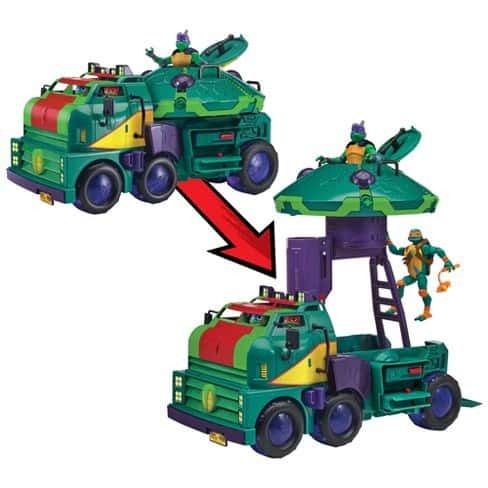 The Teenage Mutant Ninja Turtles Tank is 2-in-1 vehicle that transforms from a tank into a playset in no time. The front cab opens for easy entry and the rear hatch can be flipped down for an easy escape. 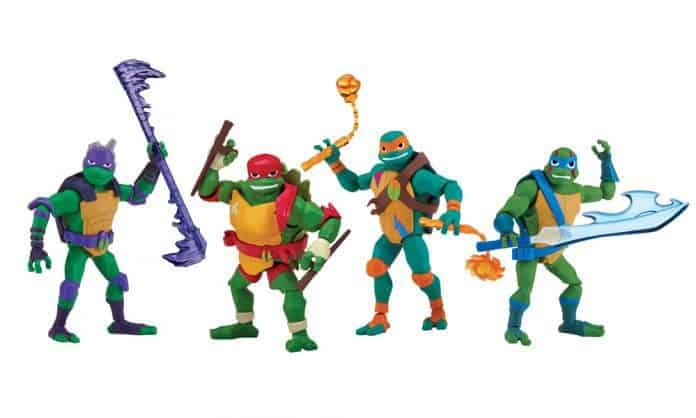 No Turtle's Tank Vehicle is complete without the Rise of the Teenage Mutant Ninja Turtles Action Figures featuring the 4 Teenage Mutant Ninja Turtles-- Raphael, Leonardo, Donatello and Michelangelo. Each action figure features 13 points of articulation and comes equipped with unique accessories to each turtle for maximum play. 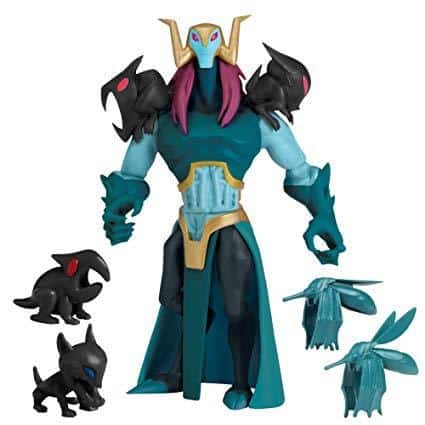 Complete your set with Baron Draxum, the "Maker of the Mutants." He's ready to mutate the world with his Oozequitos and gargoyles! Gaming systems and games are hot on everyone's wish list this year. From the Dad who wants to relive his glory years through his kiddos or the budding gamer just getting into the scene- Warner Bros. Interactive Entertainment delivers all the games on your list. Harry Potter has been on trend for years. Whether you are team Slytherin or Gryffindor you will love traveling through Hogwarts with Harry, Hermoine, and Ron. 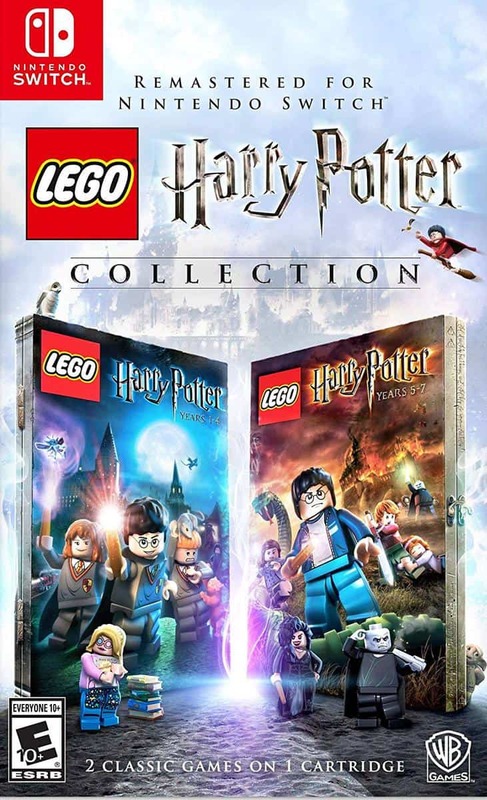 Both top-selling videogames LEGO: Harry Potter Collection﻿: Years 1-4 and LEGO Harry Potter: Years 5-7 are newly remastered into one package. 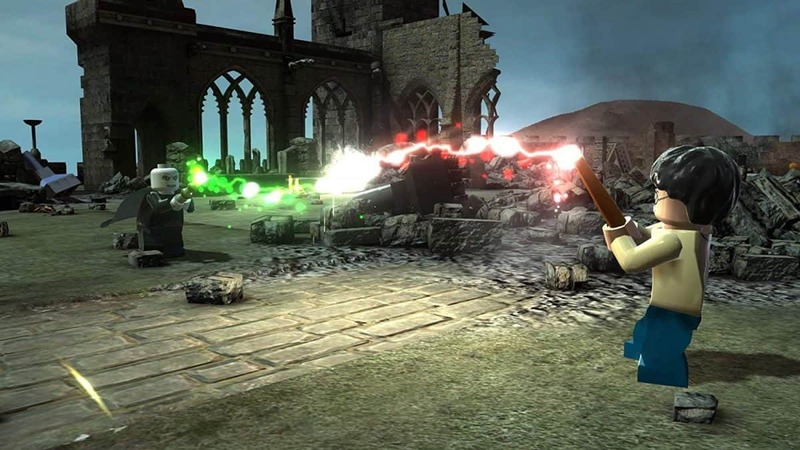 LEGO allows the gamer to cultivate the world of Harry Potter like never before. Get your magic wand ready for spells, potions, puzzle solving, lessons, dueling and more. Who is the most beloved family this year? Yours of course, especially if you bring home those lovable Incredibles. 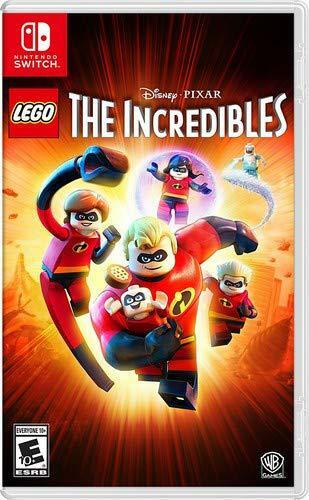 LEGO: The Incredibles reimagines this crime-fighting family featuring TT Game's signature LEGO humor. Join the Incredibles on their unforgettable adventures and action sequences from both movies. Teamwork makes the dream work, right? This is one Incredible team you and your family will love being a part of. Games are available for Nintendo Switch, PlayStation 4, and Xbox One making them versatile for whatever type of gaming family you are. When the aspiring superhero in your life also loves STEM, the perfect holiday gift is an Avengers Hero Inventor Kit from littleBits. Tony Stark by day and Iron Man by night, allow your budding engineer's creativity and imagination push the limits with their very own 'lab kit' perfect for building their own functioning hero suit. With 18+ in app activities available with each kit, your child can become their superhero of choice all while experimenting with light, sound, speed, energy, and more. The possibilities are endless with this STEM based kit guaranteed to inspire your little inventor. 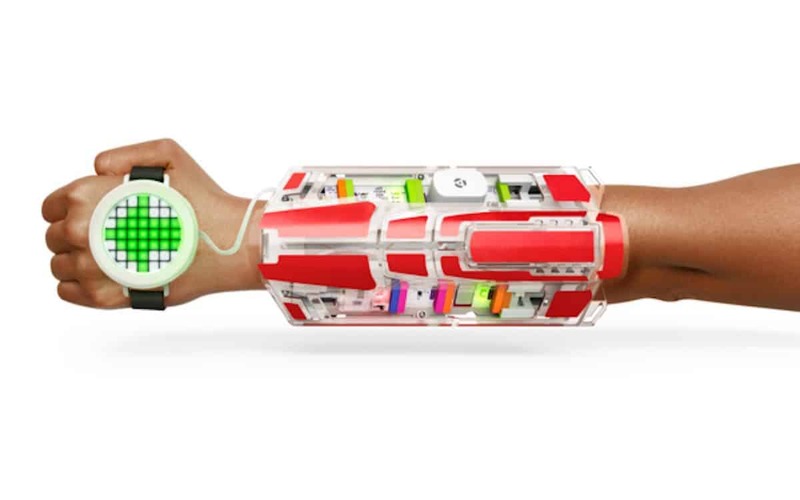 Parents plan to be amazed with the creations your child can design with a kit from littleBits. Children can delve into the worlds of science, engineering, physics, technology and more safely and on their own with littleBits. 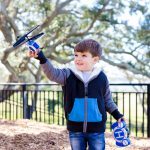 With easy to follow instructions, and the ability to construct on your own "outside the box", your child will love their new-found light powers, speed tracker, stealth mode, custom identity and more. A great gift is both fun and educational and littleBits fits the bill this holiday season. 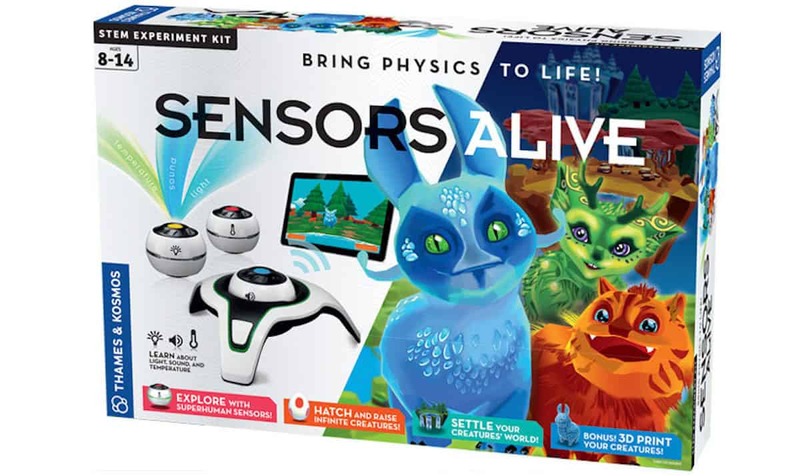 Take your child's STEM experience to the next level this holiday season with a kit for the young, but experienced future engineer with Sensors Alive. This at-home physics lab combines science and gaming for a truly surreal, fun and engaging educational experience. 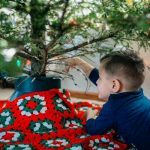 During the cold winter days after Christmas let the child on your gift list use tech to not only entertain, but to educator with Sensors Alive. 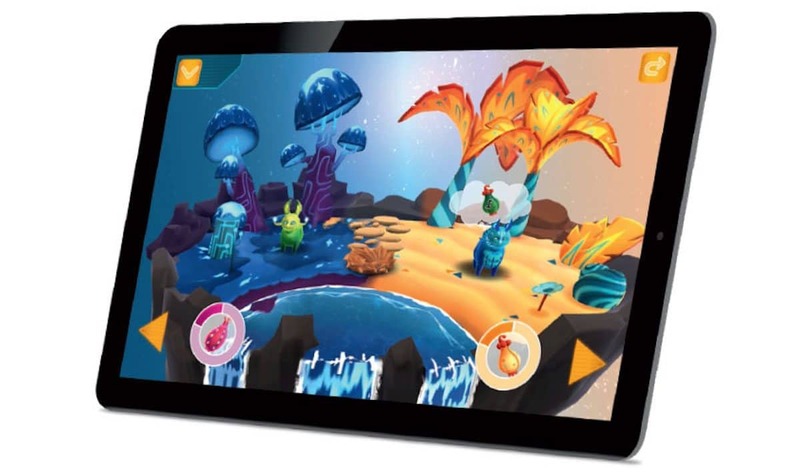 With the ability to measure light, sound, and temperature, using 3 external sensors, your child will then utilize that data within their iPad or tablet along with the gaming app to create creatures, habitats and environments. Your child will then make sure to keep their creatures alive while solving challenges and puzzles, crafting new creatures, developing new habitats, and doing so all using the outside readings. Physics will literally come to life before your child's eyes as they see the tangible results of their experiments materialize within their game. 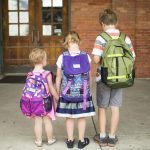 A little bit of preparation goes along way-and for those of us traveling with little ones around the holidays, or just trying to make daycare run smoothly, preparation gets simplified with Easy Baby Travelers. 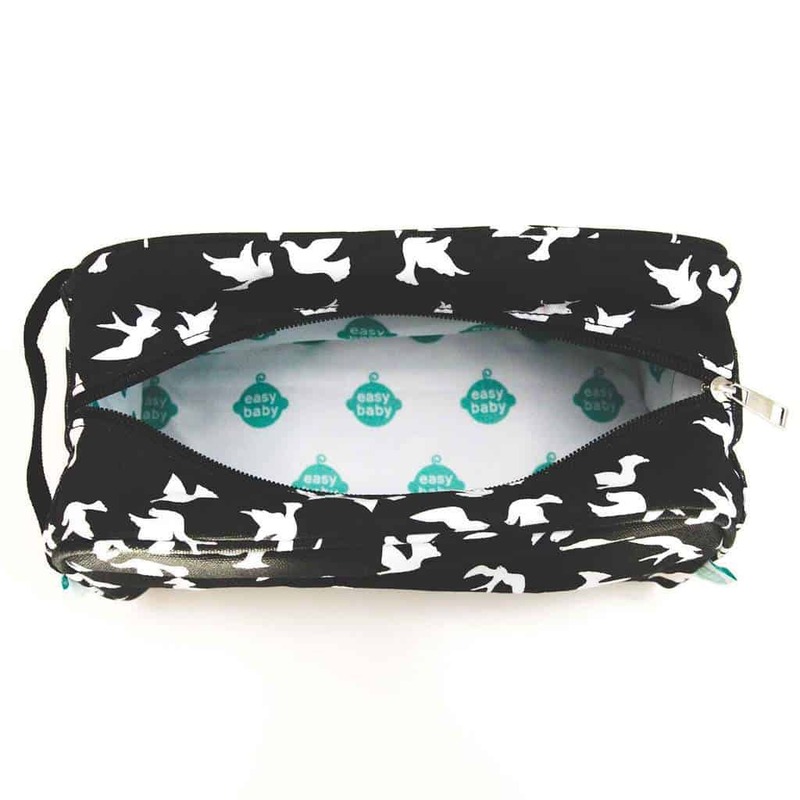 Itemized and stylish, these diaper bag organizers keep the stress of parenting prep minimal. 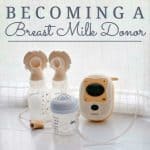 Need to feed the baby? Reach into the "feed me" bag! Is someone tiny getting frustrated during the long car trip? The "entertain me" bag is there to make that frustration disappear. Whether you are a seasoned Grandma or a family-friend giving tired parents a date night for the first time in months, this Easy Baby Travelers Brooklyn Set makes taking care of your children's needs easier than ever and fashionable, too! These organizers come in a variety of patterns and prices to match your lifestyle and budget. Kids love their iPads, but most parents don't love when they are sitting and mindlessly watching a show or playing games. 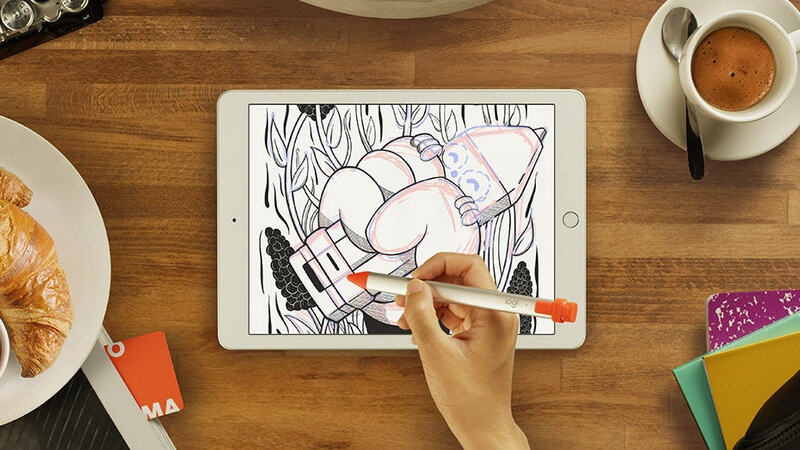 The new Logitech Crayon for kids is a stylus pen that works with the newest generation of 9.7 inch iPads and helps to unleash your child's creativity with apps and activities that are engaging. 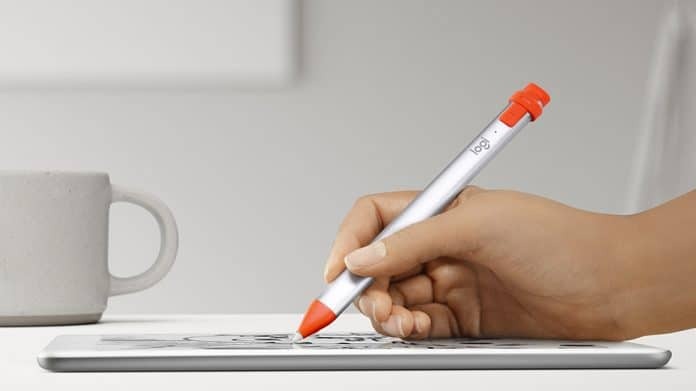 The Logitech Crayon features Apple Pencil technology so it can be used to draw, write, take notes, and more. 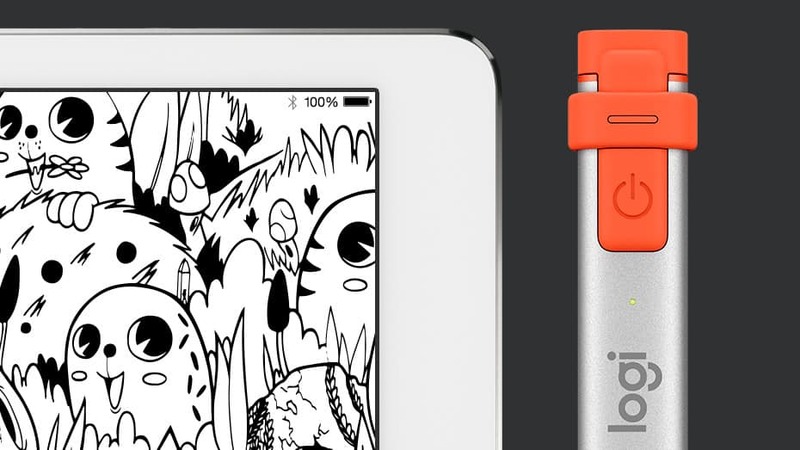 Along with hundreds of apps, the Logitech Crayon takes the iPad to a whole new level. Your child can work on their writing, engage their creative side with coloring and drawing, or even take notes for school. And with 7.5 hours of writing time on one charge and a design that won't roll off the desk, your child will be asking to use their iPad all the time- and this time you won't mind. 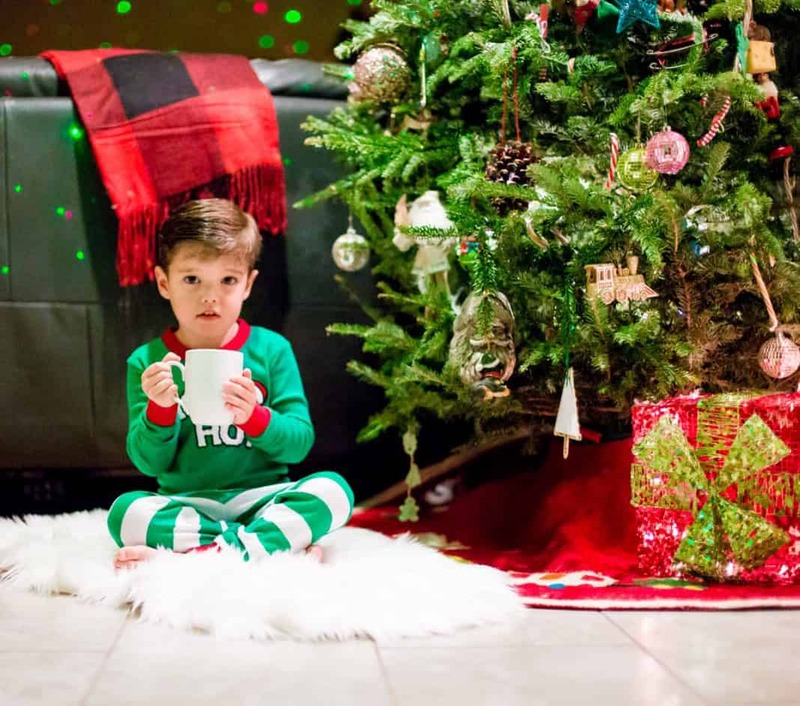 Christmas is a great time to take inventory of your child's educational needs. Regardless of age or developmental needs, The Learning Journey has you covered. 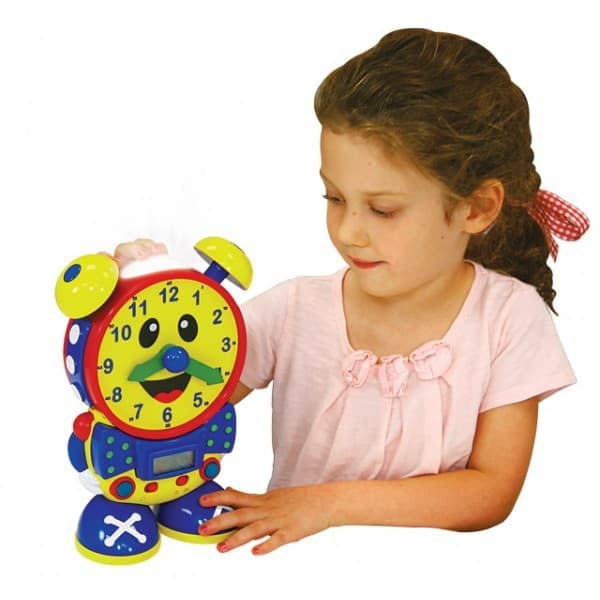 For kids learning to tell time, we love Telly The Teaching Time Clock. This interactive clock will help your child learn to tell both analog and digital time using two quiz modes. In the learning mode, Telly teaches time in five minute increments when his hands are moved, updating his LCD screen. In the quiz mode, Telly asks your child to move the hands on his face to match the time displayed on his screen. But it's not just a learning tool- Telly is also a real working clock and is the perfect addition to any child's room. Learning to tell time has never been so much fun! In first grade, kids start learning a little bit about where they live (city, state, country). But you don't have to wait that long! 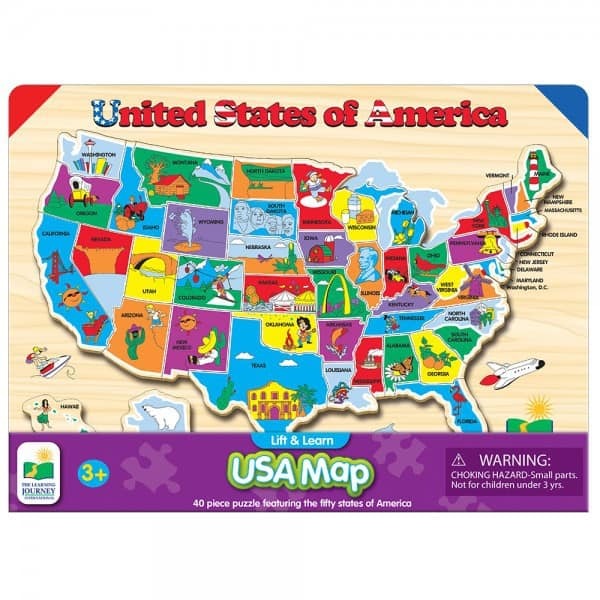 The Lift & Learn USA Map Puzzle teaches children about the 50 states in a fun and colorful way. State capitals and pictures are printed under the pieces so kids can have fun putting together the pieces while you engage in the learning experience by sharing fun facts about each state. Of course, let's not forget the classics. 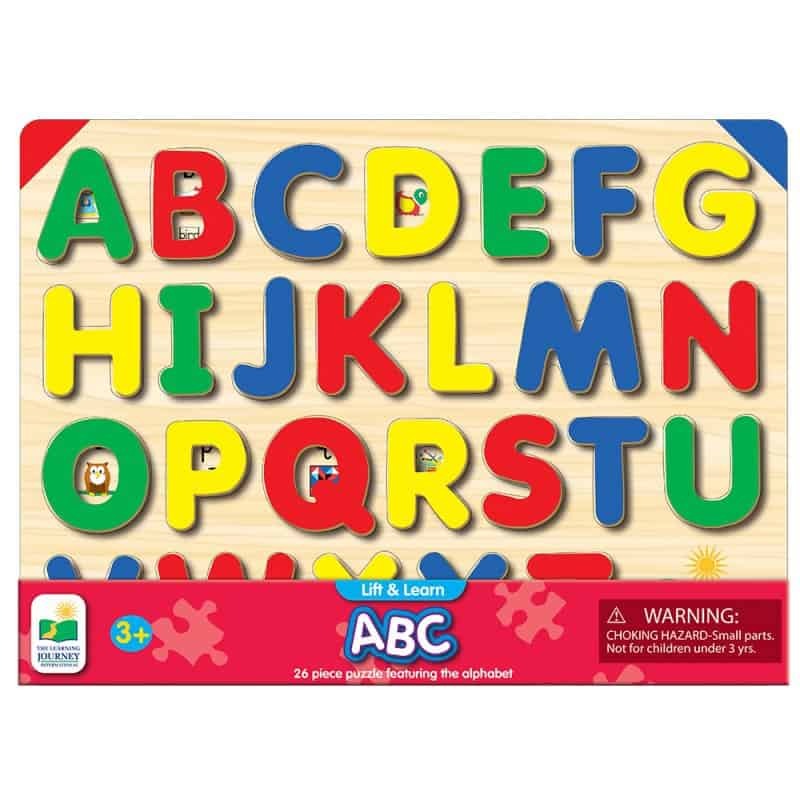 These fun and colorful tray puzzles feature the ABCs and 123s, and will encourage children to develop letter and number recognition skills. Under each piece you'll find lined text that teaches handwriting skills if you want your child to practice tracing. Pictures are also printed under the pieces to guide younger children. While there are a number of more modern ways to teach these skill sets, we still love a simple wooden puzzle and your child will too. 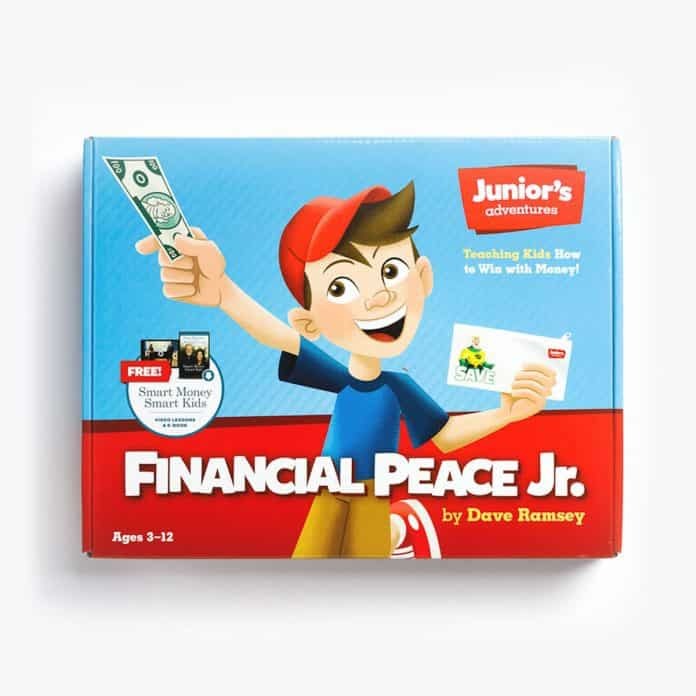 Whether your child's a math whiz, lover of numbers, or simply needs a start on the right track, Dave Ramsey’s Financial Peace Jr. board game and story book set are the perfect gift for the kids in your life this holiday. It is never too early to start teaching children about finances, life skills, and money management and there is no time like the present. 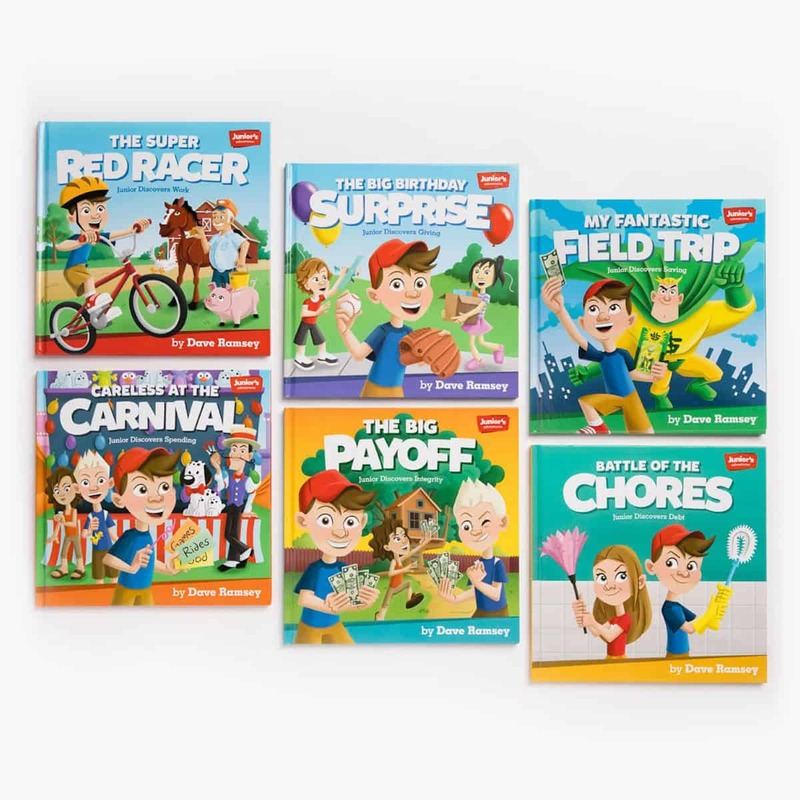 The story book set will take your child on exciting adventures in math, learning, and finance, teaching valuable lessons at home from a young age. Children of all ages love listening to stories so make the tales worthwhile instilling early concepts of finance and money management without them even knowing. With these books your children will learn how earning money works, how to save and pay cash, the importance of giving and integrity, and the dangers of debt. With so many young adults coming out of college with inadequate financial knowledge the Financial Peace Jr. board game can start teaching money management skills in a fun and exciting way. 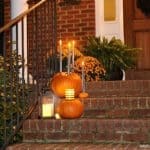 This fun family game includes a parent guide, ideas for activities, and age-appropriate chores. 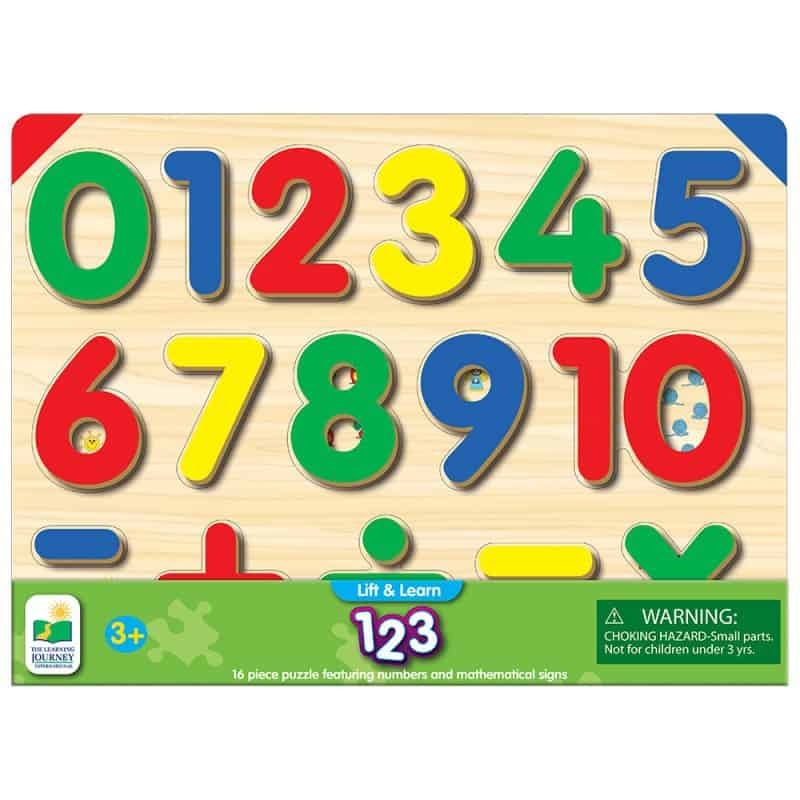 Making numbers fun, your elementary school age children will be engaged and excited with this interactive game, all while learning important concepts in numbers and finance. 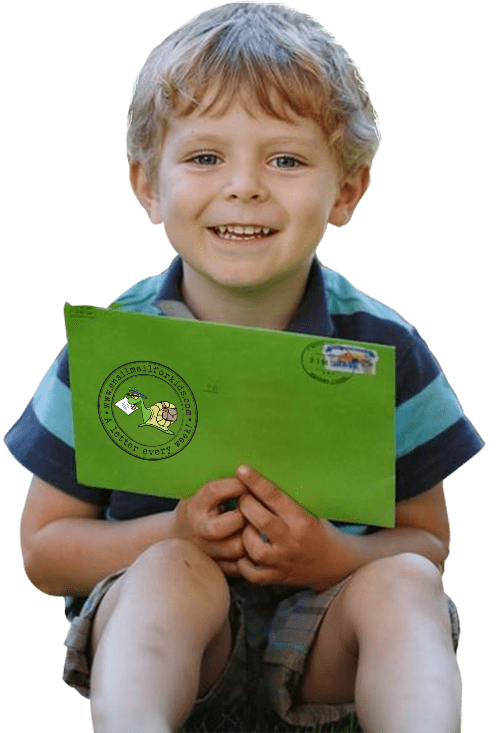 Does your kiddo love to get mail? 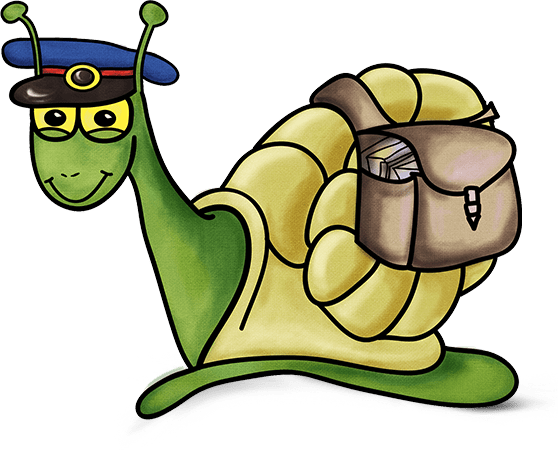 Give the gift of real mail from Sunny the Mail Snail! 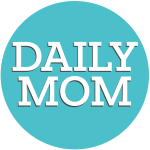 Sunny sends a weekly adventure letter to kids ages 4 to 8. They will learn all about animals and places in the world. These letters are silly, fun and educational. It's almost like reading a new chapter from Sunny's life each week. The first letter is accompanied by a care package including a Sunny stuffed animal and a wall poster to see where Sunny has traveled. Kids can snuggle with Sunny while they read about animals and the world in a fun, silly way. The letters encourage reading and imagination. Plus, kids feel important getting their own mail. Give your child, grandchild or friend's child something to be excited about...getting mail the old fashioned way! Anyone can sign up for this great service and the mail can be sent anywhere! There is no doubt that many kids will be receiving some of their favorite electronics this holiday season. Even though those electronics usually come with stock type headphones, those headphones often allow background noise to filter through. 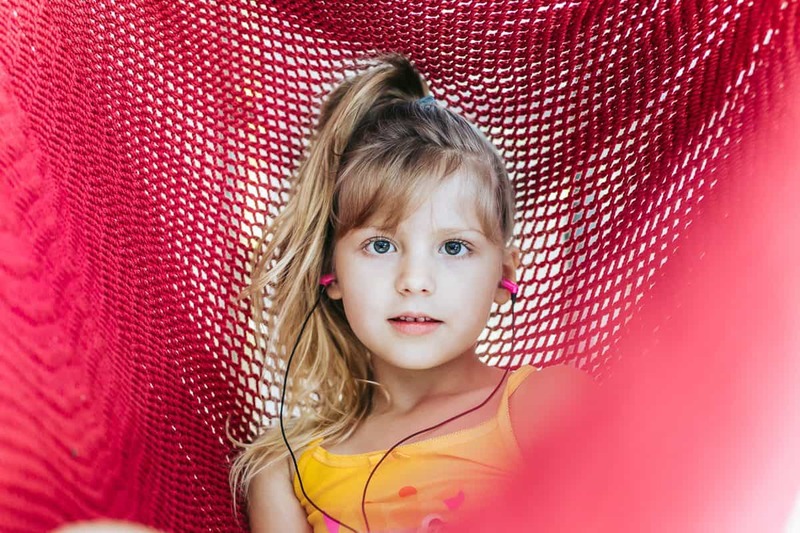 In turn, kids will crank up the music on their devices to harmful and damaging levels.ETY Kids 5 Headphones are specifically designed to completely seal their canal reducing background noise. 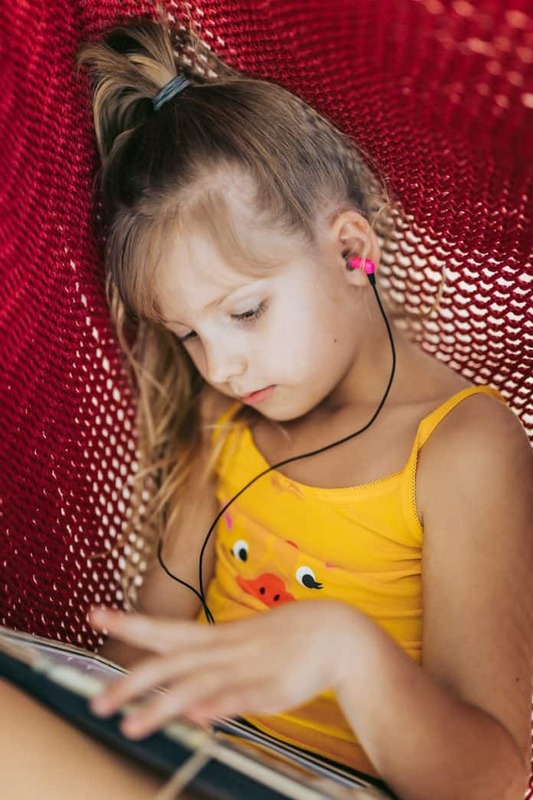 This way your child won't need to alter the sound level on their device because noise is efficiently blocked out by the headphones themselves. ETY Kids 5 Headphones come in black, yellow, and pink. They are designed to fit the small ear canals of children. This holiday season, any purchase of ETY Kids 5 Headphones comes with an accompanying book and album, Hu's Hoo and the Zoo. 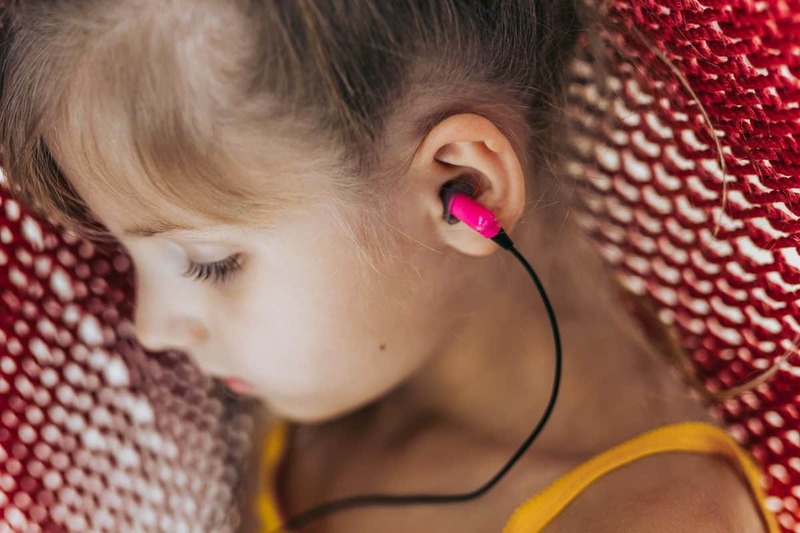 Keep your kids' ears and hearing safe this holiday season with ETY 5 Kids Headphones. Looking for the perfect gift for kids and kids at heart? 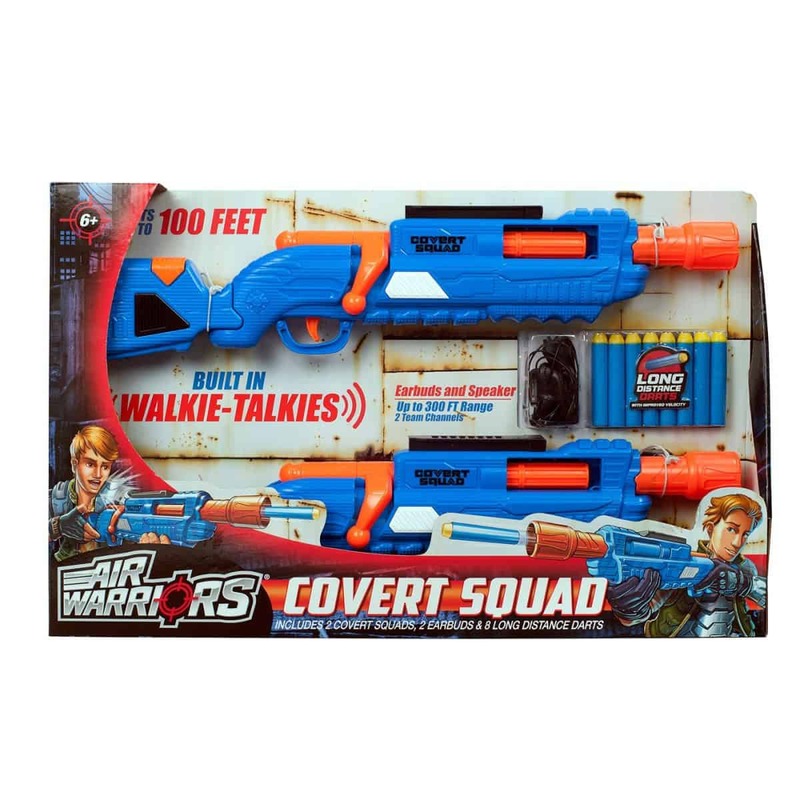 Buzz Bee Toys Air Warriors Covert Squad dart blasters allow you and a friend to stay in secret communication while in pursuit of your target. Each dart blaster features realistic bolt loading action and blasts darts up to 100 feet away. With a range of up to 300 feet, the Walkie Talkies keep you in communication with your team mate. A simple press of the talk button, and you can connect with your team mate while your target is on the move. 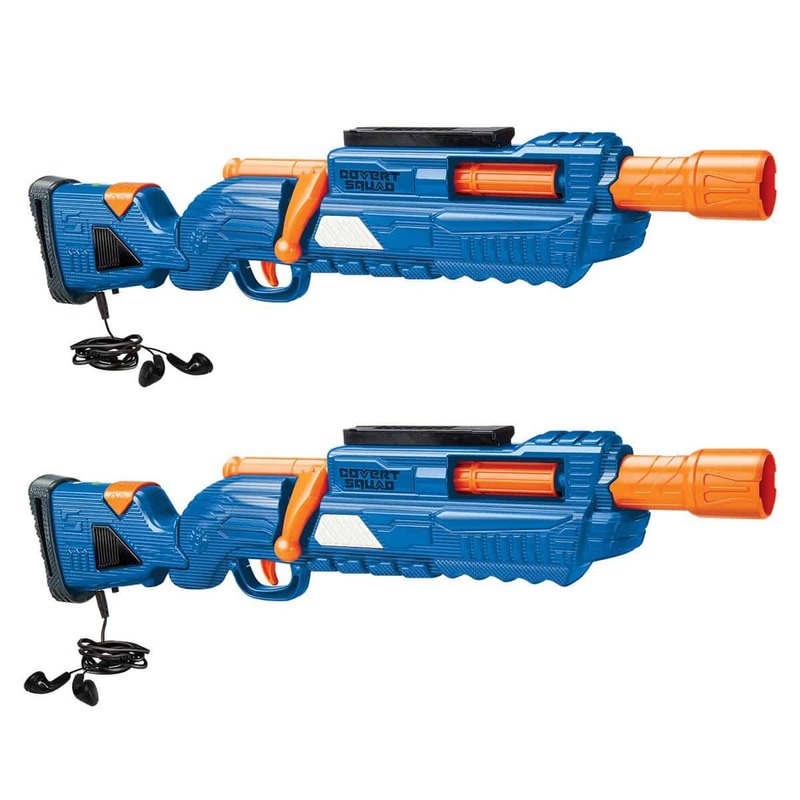 Each dart blaster comes with a set of earbuds so that only your team mate can hear what you are saying; but the Walkie Talkies have two channels so that multiple teams can play. 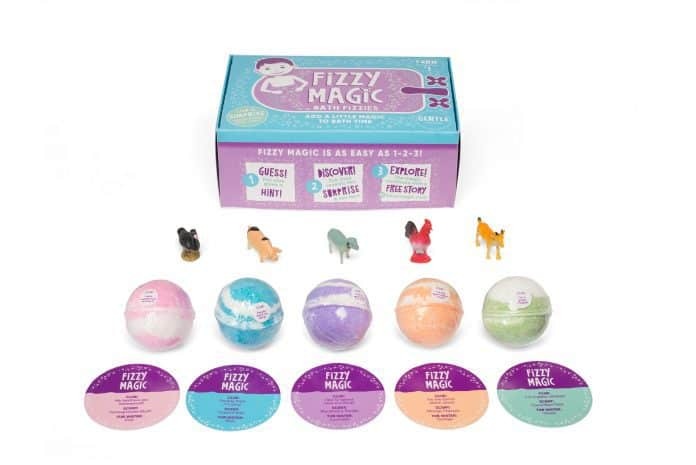 Make bath time fun with Fizzy Magic Bath Bombs! 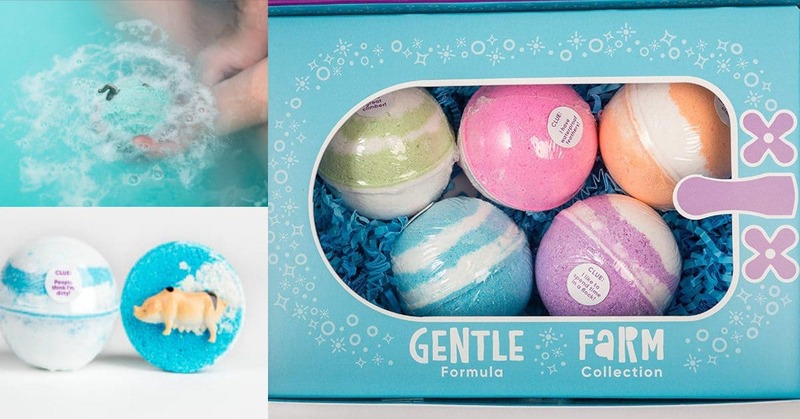 Every bath bomb features a toy inside that will be revealed as it fizzes in the water. 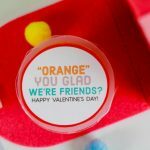 Each bathbomb provides a clue on the outside as to what toy is hidden inside! 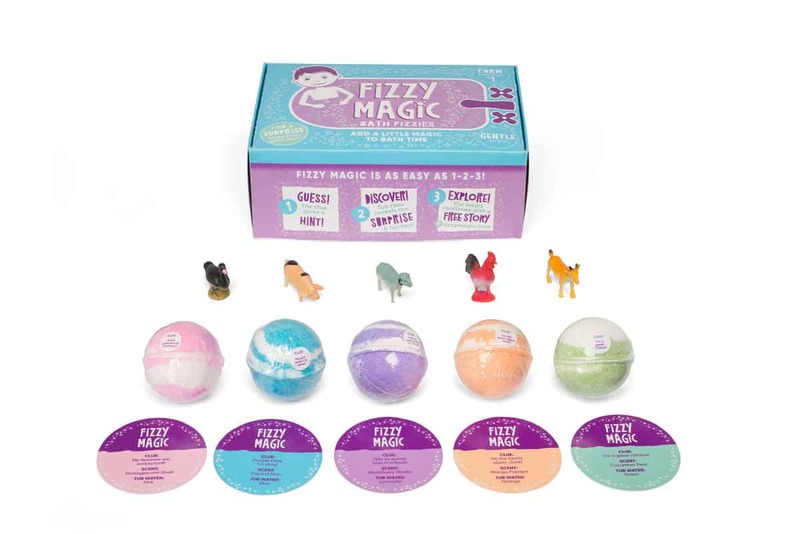 These fizzies provide entertainment and engagement throughout their bath time experience. The surprise toy at the end adds some magic to their bath, and they will be so excited to take their next one! Nothing makes us happier than seeing our kids smile in the morning on Christmas Day with a bunch of new gifts under the tree. But once we get that *one thing* they have been wishing for we are often stumped as to what else to get them. 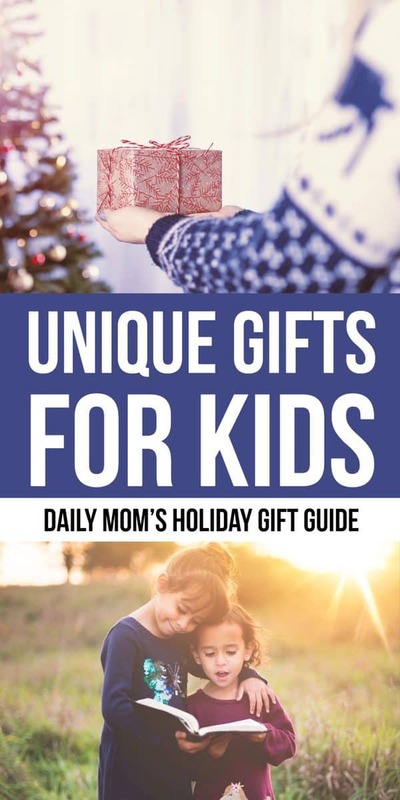 These unique gifts for kids are things they will love that they may not have even known they wanted.